and e-mail or fax it to us and we will match it as close as possible. We will provide a proof for your approval before production. 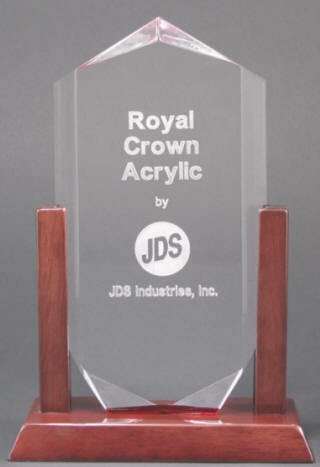 You can add your logo to your award by e-mailing it to us in a .tiff or Cdr. file in vector format, it must be in black & white. We can except .jpg but the quality may not be sufficient, we will advise you if we feel that any logo sent is not up to the quality we feel you deserve. You can also fax (on simple logos) or mail black & white camera ready art to us so we can scan it and add it to your award. Our desire is that your award be perfect so please call with any questions. typing information for the second item. If you are using a logo just type (LOGO) on the line you would like to see it. We will email a proof for your approval for each item.